There are many kinds of eye conditions and vision impairments, and the eye doctors at Eye & Vision Care can treat virtually all of them. Below are list of the most common problems we see in our patients, but there are many others that we can also diagnose and manage. Our team at Eye & Vision Care can also refer you to an opthamologist when surgery becomes necessary. If you have vision care needs, don’t hesitate to reach out today. Amblyopia (Lazy Eye)–This condition develops during childhood and happens because one eye is weaker than the other. It’s important that all children receive comprehensive vision care so that an eye doctor can diagnose and treat this condition early. 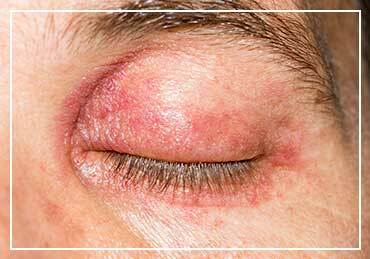 Blepharitis–Inflammation of the eyelid and eyelashes can be painful and unsightly. 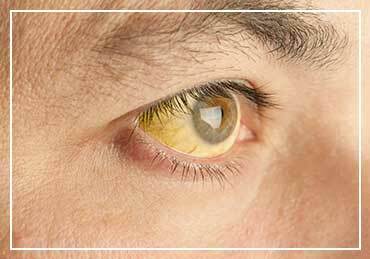 Typically the result of a bacterial infection, blepharitis can be treated but not cured. Cataracts–These cloudy spots in your eyes can prevent you from doing simple tasks like reading or driving. Treatments range from prescription lenses to removal procedures. Computer Vision Syndrome–Special lenses designed for computer work can ease the symptoms of computer vision syndrome, which include a stiff neck, watery eyes and headaches. Dry Eye–Patients with dry eyes are not producing the quantity or quality of tears that their eyes need. We can provide much-needed relief to those struggling with this painful syndrome. Strabismus–When the muscles that control the eyes do not work together, it can lead to crossed eyes. Strabismus is usually present at birth and can be lessened with special lenses and therapies. Astigmatism–Most people have astigmatism and don’t even know it. An uneven or irregular curvature of the cornea, astigmatism can be treated with prescription lenses or LASIK. 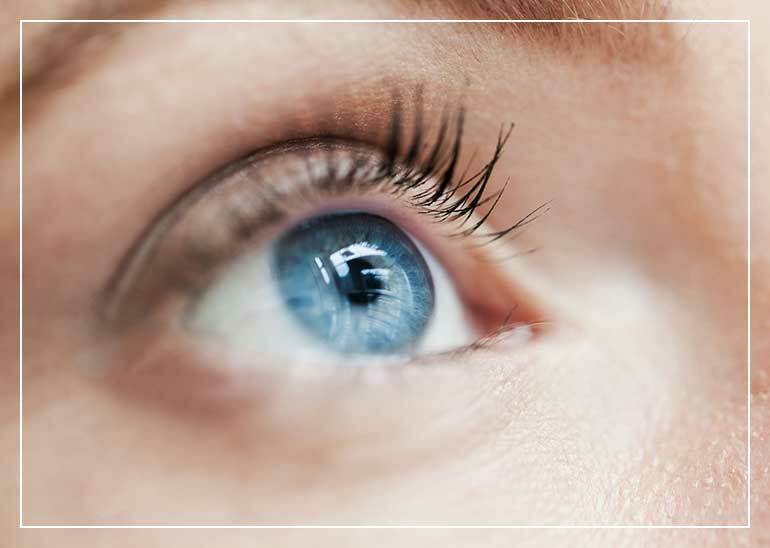 Hyperopia (Farsightedness)–If you can see items more clearly at a distance than you can close-up, it’s likely that your eyeball is longer than normal, causing light to fall behind the retina rather than upon it. Myopia (Nearsightedness)–The opposite of hyperopia, myopic eyes can focus on objects up close better than at a distance. Myopia can be treated by a number of optical solutions. Presbyopia (Aging Eyes)–As we age, the lens of our eye becomes more rigid, losing its ability to focus on nearby objects, like lines of text on a page. It is not preventable, unfortunately, but can be treated by a number of lenses or therapies. If you or a family member is struggling with an eye or vision condition, contact Eye & Vision Care today in Fairfax at (703) 961-9119 , in Ashburn at (703) 722-8688 , in Haymarket at (703) 659-4430 or in Chantilly at (703) 957-3384 . You can also schedule an appointment online. A member of our team can answer any questions you might have about our services.